Presbyterian roots are deep in the history of this area. The Scotch-Irish Presbyterians were among the first settlers in East Allen, Northampton County. In fact, on the original site on this settlement stands the old Weaversville Presbyterian building. One of the early pastors of that congregation was with General George Washington on the famous Christmas Eve raid on the British camped at Trenton, NJ; he was a casualty of that battle and is buried in the cemetery of the Presbyterian Church of Trenton. The great missionary to the Indians, David Brainerd, visited this area and at one time preached in the old Mt. Bethel Presbyterian Church (building still used as a community museum). His name and spirit lived on at the Brainerd Center, a former camp and conference facility operated by the Presbytery. 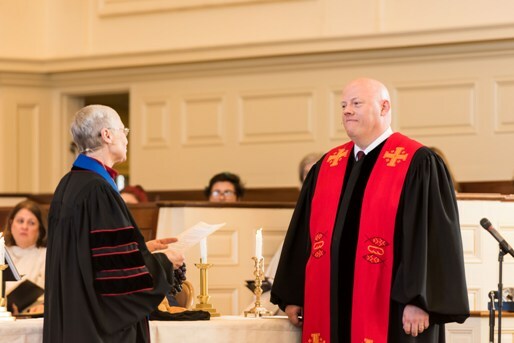 Eight different presbyteries were involved in sending missionaries, pastors and Sunday school teachers into the region now served by Lehigh Presbytery. The “New School” Presbytery of New Brunswick, formed in 1738, was the first; followed by the 2nd and 3rd Presbyteries of Philadelphia, Newton, Luzerne, Hudson, Northumberland and New Castle. All the Presbyterian congregations founded before 1870 were part of the Synod of Philadelphia. On February 18, 1871, Lehigh Presbytery was formed to be made up of all the Presbyterian congregations located in the counties of Berks, Lehigh, Northampton, Monroe, Carbon, Schuylkill and “that portion of Luzerne south of the Wilkes-Barre Mountain.” At that time there were 36 churches. On October 16, 1897, the churches within Berks County were transferred to the Presbytery of Philadelphia. In 1958, with the merger of the Presbyterian Church USA and the United Presbyterian Church in North America to form the United Presbyterian Church in the USA, the churches located in Berks County returned to Lehigh Presbytery. From its formation, Lehigh was responsive to the needs of immigrant groups, starting separate congregations among the Welsh, English, and Italian populations of the Wind Gap-Pen Argyl-Bangor-Roseto areas, and among the Italian and Eastern Europena populations in the Hazleton-Pottsville-St. Clair areas. 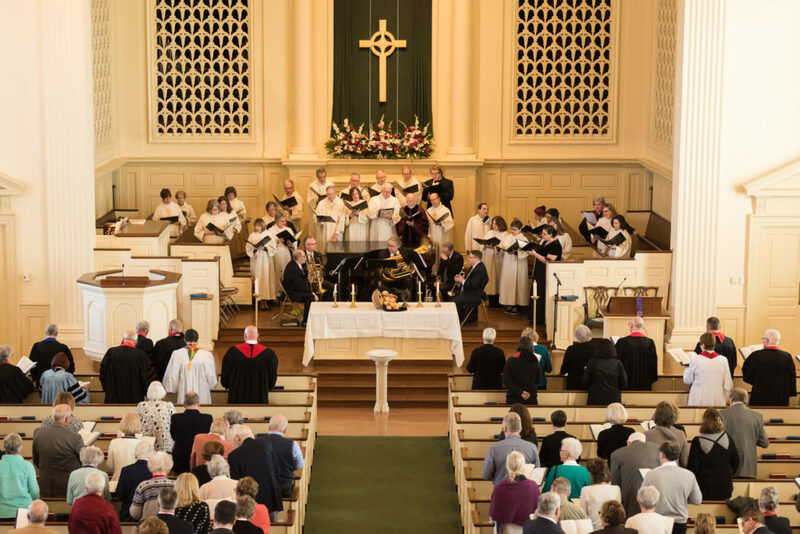 Over the years the presbytery has engaged in a creative strategy that saw new forms of ministry throughout the area, a number of mergers and relocations. 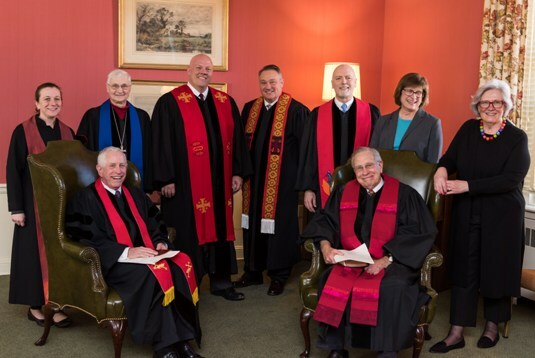 Dissolutions took place so that names like Conyngham Valley, Eckley, Mauch Chunk, Port Carbon, Pottsville Second, Shenandoah, Bridge Street Catasauqua, Loc Ridge, Roseto, Sandy Run, Palmerton, Beaver Meadow, Easton Brainerd Union are no longer on the roll of the Presbytery. Today there are 30 congregations and two worshipping communities with 8,327 members serving the same counties as they did in 1871. In many ways, it’s the middle schoolers who get lost in the shuffle, especially when it comes to religious activities. After all, the younger children have things like vacation Bible school and regular Sunday School tailored for their needs, and the high school kids seem to have built a strong bond among themselves by the time they reach that age. 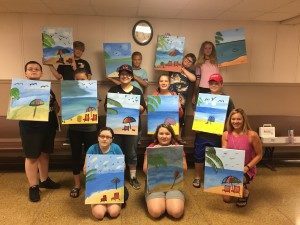 The “Acts of Hope: Creative Arts Day Camp” fit perfectly into a church and community that has a passion of this type of ministry, something Kari first learned when she became pastor there two years ago. 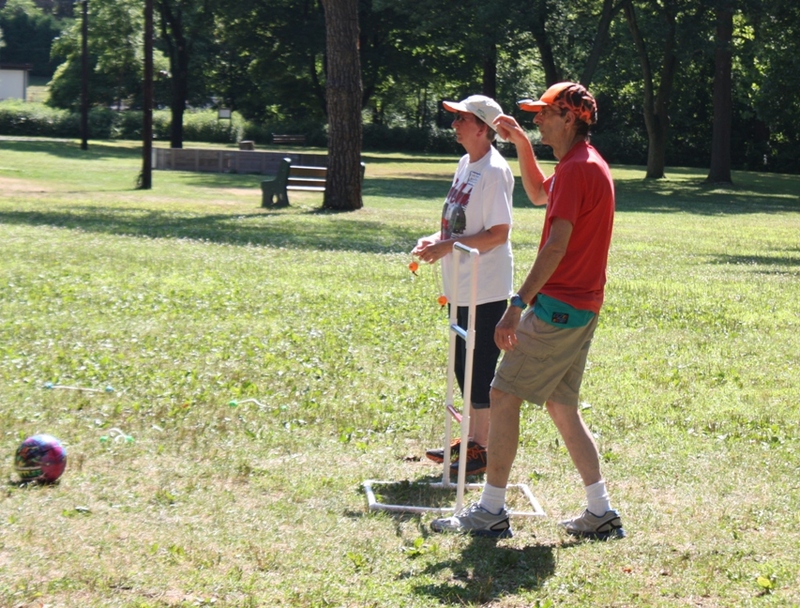 Camp day began with a visual arts activity like painting, sketching and sign making. The campers also made ice candles and pictures created with pastel-colored chalk. 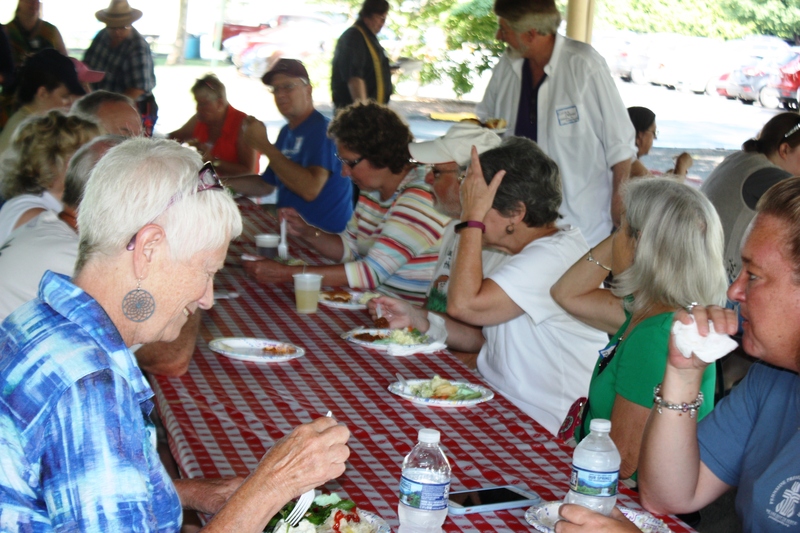 The local summer free lunch program provided food for the camp daily. The afternoon consisted of theater programming led by the Philadelphia based Pig Iron School for Advanced Performance Training. It’s a group that also worked with adults one evening on a similar program that it used with the children earlier in the day. Realizing there was a need to feed children in its community, the session at Pennside Presbyterian Church in Reading, PA, decided to start its own meal program. After two years of discussions and planning, the church became a location where youth could come and eat lunch for free. Brimming with anticipation, it kicked off its feeding initiative in early June. Despite all the prep work, only one child showed up during the first full week of Pennside’s summer meal program. Undoubtedly discouraged by the lack of participation, the volunteers didn’t quit. They quickly latched on to a nearby childcare center and have been serving between 30-40 meals a day four times a week ever since. A handful of volunteers from the Pennside Presbyterian Church hand out lunches to deserving children four days a week. Two years ago, a newspaper article detailed the percentage of students in Berks County who are on the reduced-priced lunch program. While the inner-city Reading School District not surprisingly came in with the highest percentage of students receiving assisted lunches, Antietam School District was second at over 51 percent. With many of Pennside’s worshipers living in Antietam, it came as a big surprise to the church’s leadership that so many of their own families were living in poverty. After speaking with the staff of a state senator, Dave was directed to the U.S. Department of Agriculture’s National School Lunch Program, which provides opportunities for organizations to become either a sponsor or site for areas where free lunches can be distributed. Those organizations that are deemed “sponsors” receive payment from the Department of Agriculture for supplying food and resources for meal programs, but it also comes with plenty of paperwork. Meanwhile, “sites” simply distribute food that has been prepared for it. Learning that the Reading Recreation Commission was already a “sponsor” for the program, Pennside Church decided to team up with them to create what Dave calls a “Let’s Do Lunch” program. When its initial attempt didn’t gain steam, it found out that the Antietam Recreation Commission holds a childcare and that church volunteers would be welcome to help hand out lunchtime meals at that location. Dave speculated that because many of the children they were targeting were already enrolled in this childcare program, they weren’t able to turn out for Pennside’s attempt at a meal service program. 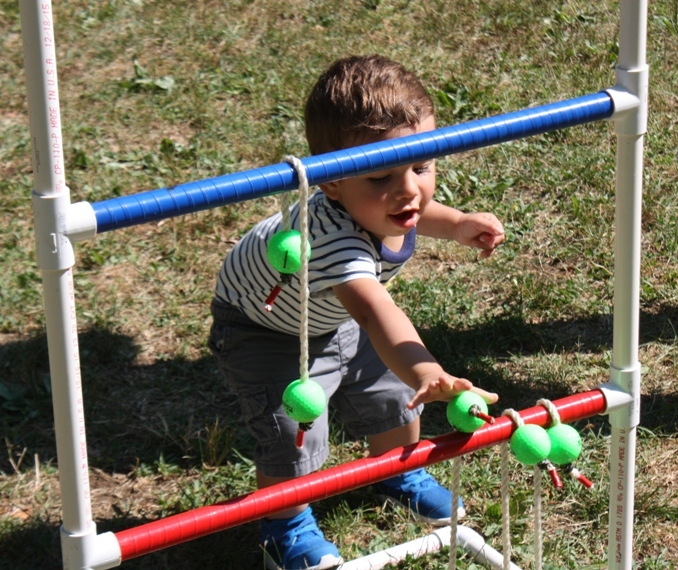 So in essence, the church volunteers are connecting with children — mostly elementary-school-aged — just in a different location than they originally planned. Between 50-60 total children are enrolled in the childcare program and previously had to bring their own lunches with them on a daily basis. But thanks to Pennside’s help, the children who need the free lunches can get a nutritionally-balanced meal four days a week. And because the school district has over 50 percent of its children enrolled in the reduced lunches program, a child does not need documentation to partake of the meals, making it easier for those who need a lunch to get one. 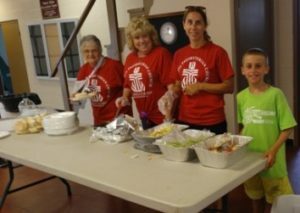 A handful of Pennside volunteers assist in dishing out food Monday through Thursday, and it’s a different group each day from June to August. The program encompasses close to 30 total people from the congregation and the broader area. 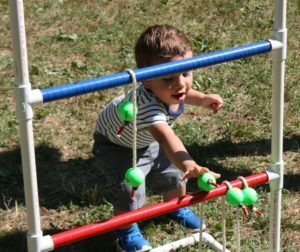 Despite its inauspicious beginning, Pennside Church’s involvement in this worthwhile community event is paying big dividends. “It’s been really inspiring,” Dave admitted. “We read the article and got a sense of the need and it was overwhelming. Just think about feeding 500 kids. Just think what that would take in time and money we don’t have. Now we are feeding these kids and we’re not paying a dime. It’s been a very powerful witness to all of us of the abundance of God.